In the fall of 1943, American and British forces were entrenched in southern Italy, hoping to drive north and liberate Rome from Mussolini and the Fascists. Unable to penetrate German defenses, the Allies devised a controversial plan known as Operation Shingle, which called for troops to circumvent the Axis line and make an amphibious assault on the city of Anzio, just 35 miles from Rome. It was one of the largest seaborne landings in military history; over 60,000 Allied troops stormed the port city and began to painstakingly grind their way towards the Italian capital. Alton W. Knappenberger Private First Class Alton W. Knappenberger, of the 3rd Infantry Division, was one of the thousands of Americans bogged down at the front. Nicknamed “Knappie” by his friends, the twenty-year-old farm boy grew up hunting rabbits and birds in the forests of eastern Pennsylvania. 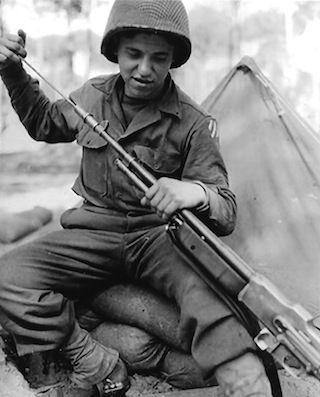 The marksmanship he perfected in his youth would play a crucial role as the Allies struggled to hold the line in early 1944 and lead to his being awarded the Congressional Medal Honor, the highest decoration for valor in action against an enemy force. Although Anzio was one of the most important battles waged during the Italian Campaign, it is often overshadowed by more celebrated Allied victories like D-Day and the Battle of the Bulge. The Anzio Beachhead Veterans of World War II’s website brings together surviving members of this battle and commemorates the actions of Allied forces in Italy in 1944. 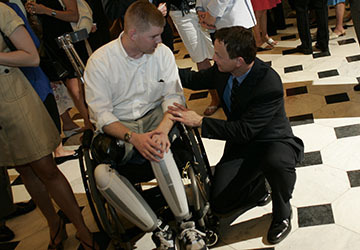 The site includes detailed memoirs and personal photos from veterans who fought there. 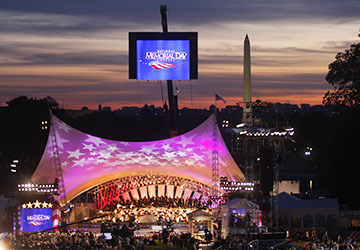 In 2016, the National Memorial Day Concert honored WWII Veterans who fought in the Battle of Anzio, including U.S. Army Nurses from the 33rd Field Hospital who experienced combat alongside their fellow soldiers while stationed on the Anzio beachhead. 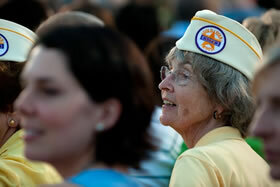 More than 16 million Americans served in World War II. Sadly, today, fewer than one million veterans from the “Greatest Generation” are still alive; over 400 of these heroes pass away every day. The National World War II Museum has used data compiled from the Veterans Administration to note how many World War II veterans are still alive in each U.S. state. Important initiatives are under way to gather the stories of the men and woman who served in WWII, including: The National WWII Museum’s Honor: Personal Pages; Friends of the National WWII Memorial’s Voices of WWII; and The Library of Congress’ Experiencing War: Stories from the Veterans History Project. 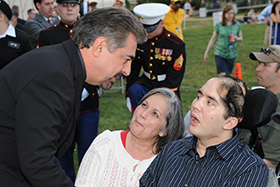 If you know veterans with a story to tell, now is the time to help share their experiences. 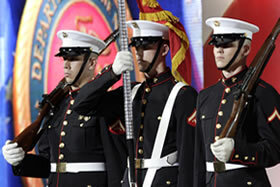 Honor their service and sacrifice by sharing a tribute on the National Memorial Day Concert’s Wall of Remembrance. 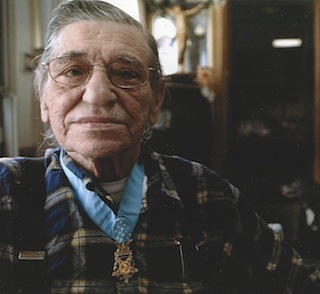 On June 9, 2008 -- six decades after earning the military’s highest honor -- Alton Knappenberger passed away and joined the ranks besides his brothers in arms in the hallowed grounds of Arlington National Cemetery, Section 59, Grave 3193. Arlington is one of two Department of the Army National Cemeteries, the other is the United States Soldiers' & Airmen's Home National Cemetery in Washington, D.C. 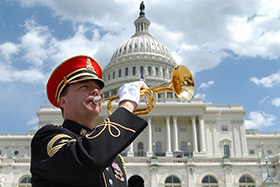 The VA’s National Cemetery Administration oversees 134 cemeteries across the United States. To find the closest National Cemetery to you and to learn what Memorial Day ceremonies are planned there this year, please visit their website. 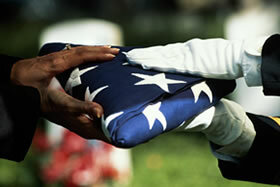 The U.S. Department of Veterans Affairs (VA) provides information on service members buried in VA National Cemeteries.